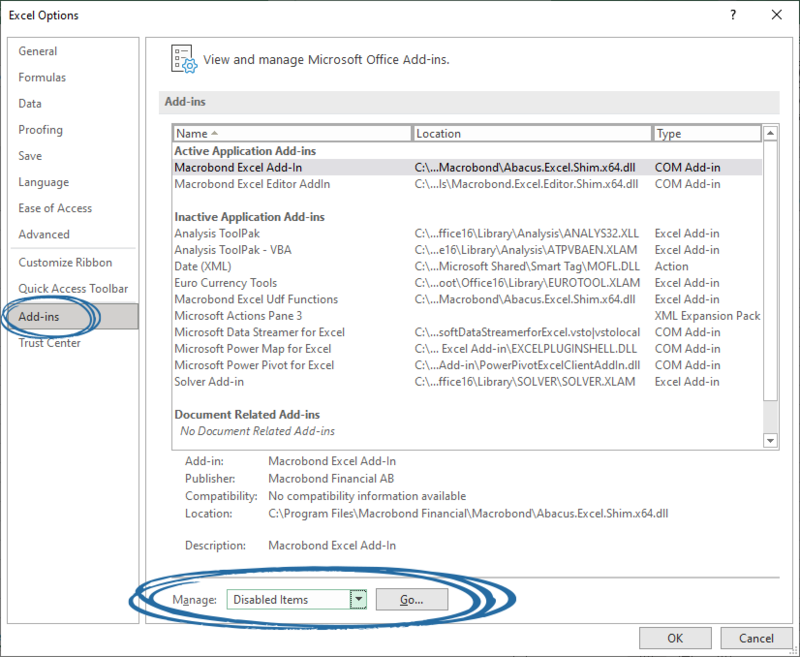 The instructions below illustrates how to enable the Macrobond add-in in Excel. 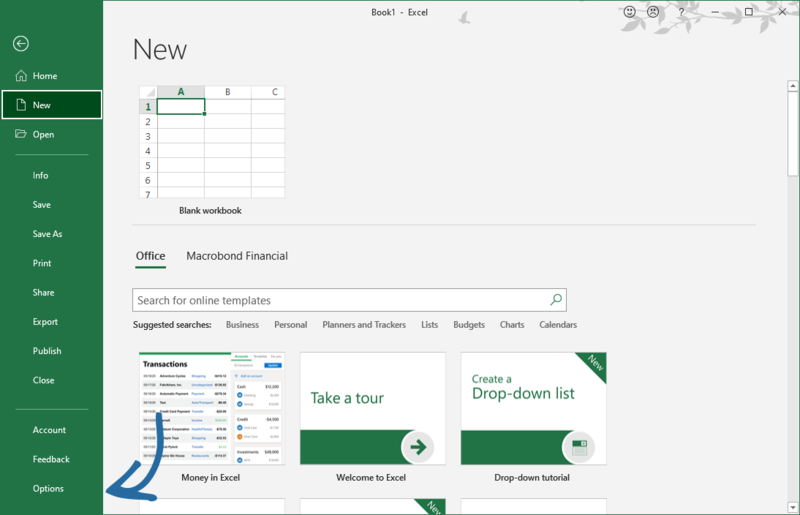 However, the instructions are applicable for Word and PowerPoint as well because the method is identical across the Office products. Note: the pictures below might vary depending on your Microsoft Office version. Next, select Options from the list. Select Add-Ins from the menu and go to the Manage drop-down menu. 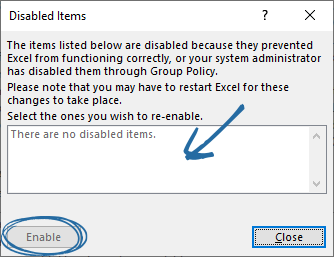 Select the Disabled Items option and press the Go button. If your add-in is disabled, it will be displayed in the list. Select the Macrobond excel add-in and click the Enable button. After restarting the office application, the Macrobond add-in should be visible again.